 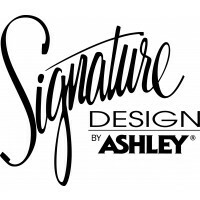 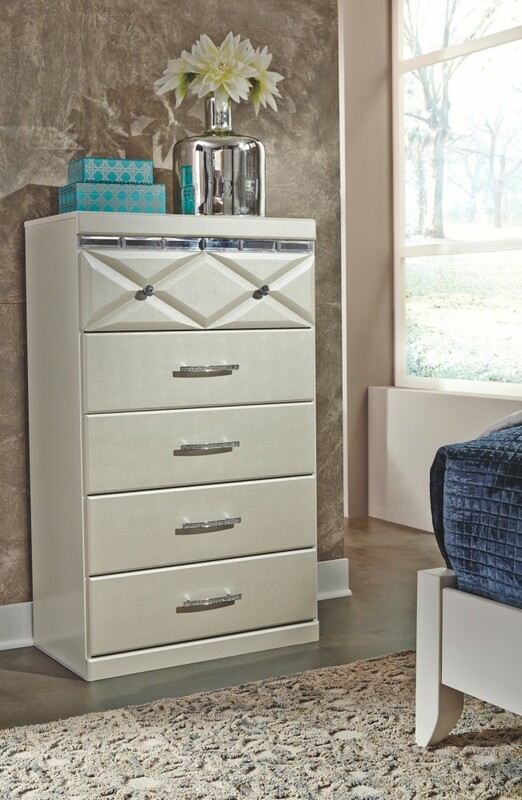 Love sleek and bold contemporary style? 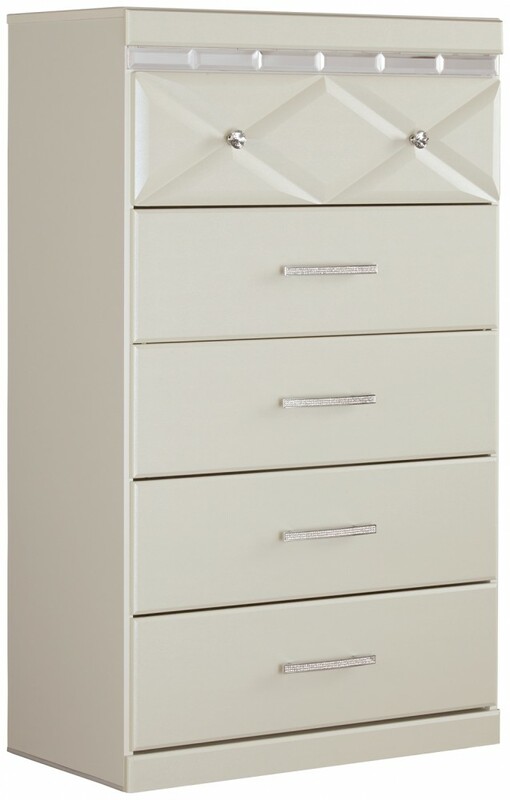 Live the dream with this chest. 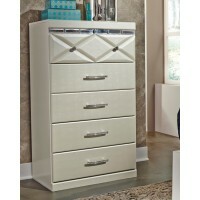 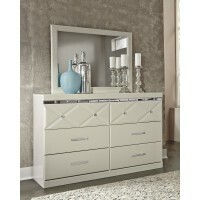 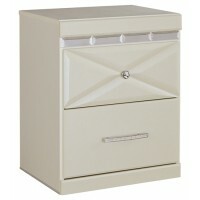 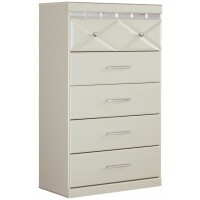 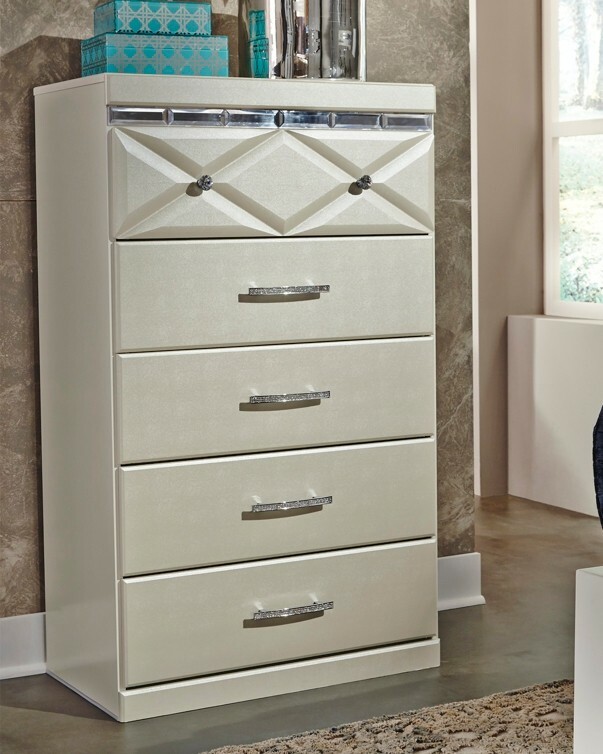 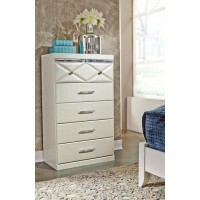 Eye-catching details include 3D pressed top drawers with beveled mirror banding. 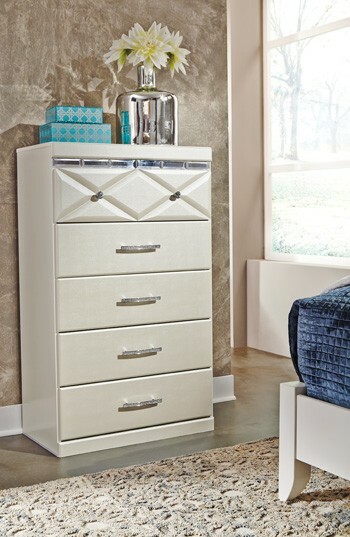 Faux crystal accented handles and knobs incorporate an added touch of sheen and shine.